Bacteremia is an infection, caused by bacteria, that enters the bloodstream. It may also be referred to as septicemia, sepsis, septic shock, blood poisoning, or bacteria in the blood. 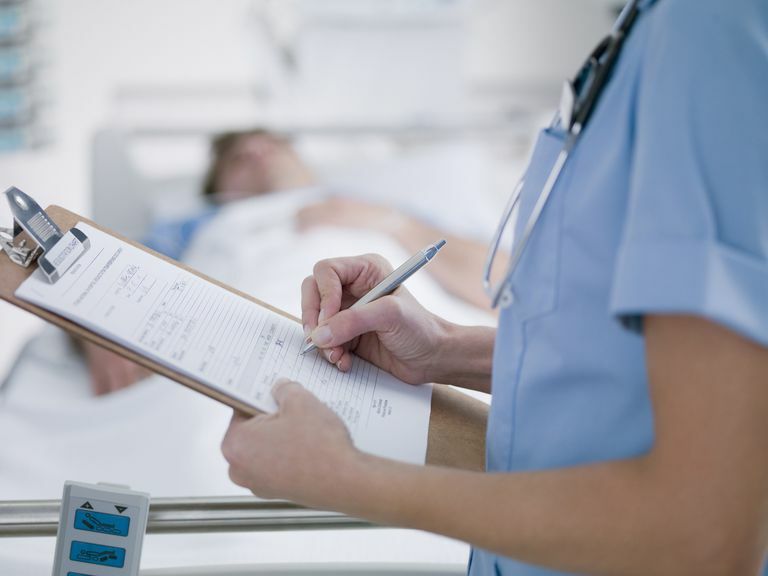 Bacteremia typically starts with a small, localized infection, such as an infected incision, a urinary tract infection or another type of infection. Sometimes the individual doesn't even know where the infection was in the early stages, as they didn't notice any signs or symptoms of infection while the infection was in one location. For an example, we will say the individual has an infected tooth. At first, the patient feels a minor toothache. Then, as the infection continues, the toothache becomes more and more painful. Before he can get an appointment with the dentist, the patient notices a bad taste in his mouth, caused by pus-forming around the tooth. He tries to use mouthwash and takes ibuprofen for the pain, but it continues to get worse. He knows he needs treatment, but decides he can wait until the next day for his scheduled dental appointment. The next day comes and the patient feels much sicker, is having a fever and chills, and starts to feel exhausted as the worsening infection enters the bloodstream. When the infection spreads to the bloodstream, it has a new name: bacteremia. Bacteremia simply means bacteria in the blood. This condition is better known by other more common but much scarier names: sepsis and septicemia. The body will continue to try to fight the infection, but the infection is widespread at this point, moving through the bloodstream to the entire body. At this point, a variety of blood tests including a procalcitonin level will show that the body is responding to the foreign bacteria, typically with an immune response and blood cultures will show the presence of bacteria. This is a very crucial time in the treatment of the infection as bacteremia is far more likely to cause a serious or even life-threatening illness as the body attempts to fight off the infection. A localized infection can cause serious problems, but an infection that is moving through the blood stream is far more likely to lead to serious illness. The sooner treatment is started, the more likely the individual is to avoid the even more serious condition of septic shock. An infection that begins to travel in the bloodstream can be life-threatening and must be treated aggressively with antibiotics to prevent sepsis from worsening and turning into septic shock. Septic shock is a condition where the body is overwhelmed by the bacteria and subsequent infection in the blood stream. The body struggles to fight off the infection, and is unable to continue the normal and essential tasks that body normally handles with minimal difficulty. When septic shock happens the patient will need typically need medications to increase blood pressure, IV antibiotics, fluids and possibly a ventilator to assist with breathing. These patients are typically cared for in the ICU where constant monitoring is possible. Bacteremia is a very serious condition and should be treated as quickly as possible once diagnosed. In a nutshell, bacteremia can typically be prevented by not ignoring minor infections such as skin infection or a urinary tract infection. However, even with treatment some infections will spread, making close monitoring of symptoms, such as temperature, important for an early diagnosis of this potentially life-threatening condition.